This UNESCO World Heritage Area occupies the southwestern corner of New Zealand. It includes four national parks, and covers 10% of the New Zealand's land area. 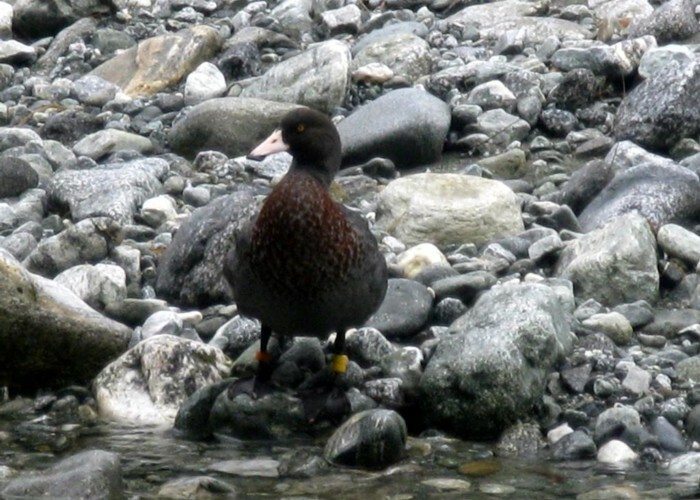 Blue Duck (Whio) • By Yarmoss. Licence: C.
To the south, Fiordland's steep U-shaped valleys and coastal fjords are evidence of past glaciation. These are some of the most remote landscapes in the country. A variety of short walks are available, along with the famous Milford and Routeburn tracks. 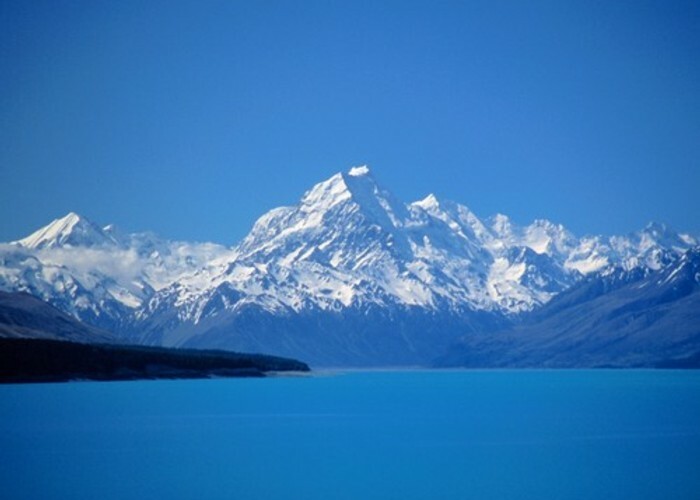 Further north, Aoraki / Mount Cook is New Zealand's highest peak at 3754m. A number of short walks are nearby, along with the more challenging Ball Pass and Copland Track. The coastal rainforests of Westland include easy walks to the feet of Fox and Franz Josef Glaciers as well as the classic overnight walk to Welcome Flat Hot Pools. Added 21 November 2012 by MatthewMatthew. 1 revision 21 November 2012 by MatthewMatthew.